When you start a new job your employer will require a number of different documents from you. They are not trying to catch you out but just to make sure that they have you set up on the system correctly, meet all legal requirements, and can pay you properly. Most employers will require references once they have offered you a job to confirm that you are a decent person. After this you will need to provide tax and national insurance details, any student loans you have and further forms for health and safety and contact details. An employer asks for references so that they can be sure that what you have told them is correct. They will check with former employers, tutors or personal references to confirm that you are going to be a good employee. You do not need to give these until after you have been offered a job but must make sure the contacts you give are available. Unless you are self-employed then your tax contributions will be deducted from your pay before you receive it. So that you r employer can make sure they are taking the right amount they will need to know what tax code you are on. If you have worked before, even in a part time job then you should have a P45 that will show your previous earnings. Otherwise you will be issued with a P46 to set you up form scratch. If you have gone to university then it is likely that you will a student loan. Once you start earning over £15,000 repayments will be deducted from your wages. To make sure you are paying the right amount and that it is going to the right place, you will need to give details of your student loan to the accounts department. As well as paying tax and your student loan, you will also need to pay national insurance on your earnings. This gives you rights to a pension and other social security benefits. Everybody is given a unique number either when you turn 16 or when you apply for it and you will need to give this to your employer. A CRB is a criminal records bureau check. If you are working with children or young people then you will be required to have one of these done. It checks that you do not have any criminal records and that you are safe to work with children. Your employer will give you the form that you need and there may be a small fee. As well as all the essential work documents your employer may also give you other forms to complete. These can include health and safety information to read and sign, documents for your bank details, or contacts for your next of kin. There can be a lot of documents to fill in when you start your new job but they are all important to make sure that your employer has the information that they need. 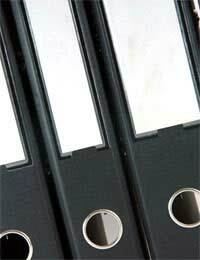 It is a good idea to keep your own records of what you have supplied and what you have filled in for future reference.